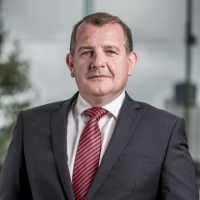 Jason Towse reviews the security industry for the second quarter of the year in his role as Managing Director for Mitie’s security business. Jason writes: “This quarter has certainly been eventful for a number of reasons – some positive and some extremely sad and worrying. “Some of the global events that have occurred act as continual reminders of the threats that exist. The terrorist attack in Nice, whereby a driver barrelled through a crowd of Bastille Day revellers, was particularly shocking and highlighted that our awareness of an attack must not be limited to what type of form it could take. “Theresa May talked about the police and security services urgently reviewing security at major events across Britain following the terror atrocity; and earlier this month, Sir Bernard Hogan-Howe, the Metropolitan police commissioner, said it remains a question of “when, not if” there is an attack on the UK. “As security professionals we must play our part in identifying and reporting anything suspicious, making sure that we share and promote the run, hide, tell guidance – released by National Counter Terrorism Policing – which provides advice on the steps to take to keep safe in the event of a firearms or weapons attack. “I don’t think a day passes where I don’t hear the term Brexit. To see the country divided by the decision has created lots of debate and commentary, especially as to how this will impact the UK’s workforce. “I am commonly asked how I see the UK’s exit from Europe impacting the availability of skilled workers. This highlights the need for the security sector to be an attractive career choice, so that from within the labour pool that we have, people want to work in security rather than have to. This can only be done through embracing technology and providing high quality training and development. “However, rather worryingly, I believe the negative impact will be for the small number of businesses that export significant values of their technology products, particularly access control and intruder-alarms, across Europe and EMEA. The major concern here is that due to the very nature of projects and size of spend, the impact could well be felt before Article 50 has been invoked. “This quarter also saw the publication of the latest Security Research Initiative (SRI) that focused on cyber security and its association with physical security. The survey threw up no real surprises; however, it did highlight the fact that there is untapped potential in cyber-crime prevention. Some companies are prepared to invest in – cyber security, people, and not least security staff; all of which are crucial to protecting against cyber loss, although this is often undervalued and under-stated, and there is considerable (and often unrecognised) overlap between good cyber security and good overall security. “Interestingly, this has coincided with the security industry welcoming the inclusion of cybercrime in the latest crime survey for England and Wales by the Office for National Statistics (ONS). “Commenting on the findings, Robert Norris, director of enterprise and cyber security at Fujitsu UK said: “The IT security industry welcomes the fact that the ONS will be including online crime in its future crime reports. “My personal view is that more investment is required in the field of cyber resilience and training, with user ignorance being the main contributor to vulnerability. “We have now received news that the periodic substantive review (PSR) of the Security Industry Authority (SIA) has been completed and submitted, the results of which are being digested for comment. I do hope that we see positive change for all key stakeholders, including licence holders, ACS contractors and customers; and I am looking forward to discussing the review findings with industry colleagues next month. “I was honoured to have attended the British Security Industry Association annual luncheon last month. It was a fantastic event and within the luncheon was the Security Personnel Awards which serve to recognise and reward security officers for their contribution and dedication in areas such as teamwork, customer service skills, use of technology and bravery. I was delighted to be there celebrating our industry’s hard working people and their consistent and outstanding achievements. “Our team that attended truly enjoyed it too, and although not all of our regional winners were national winners, one of our ambassadors, Joe Thompson, won the National Service to the Customer Award and it was a proud moment for us all. I still believe though that there is more magnificent security work going on that goes unsung. “Looking forward to the next quarter, I can’t wait to join my TINYg (Terrorist Information New York Group) colleagues in New York, for the well-established event which brings security experts from both sides of the pond together. I will be sharing my thoughts on some of the key security initiatives from the UK with over 150 peers, customers and representatives from law enforcement agencies in the US. I am very much looking forward to hearing the other speakers and to network as it’s always a great opportunity to share best practice and reflect on the year gone by”.